With billions in profits at stake in state-licensed gambling casinos, Illinois politicians team up with the Chicago Mob and a corporate tycoon to make a killing. The stacked deck favors them, until the Governor of Illinois is assassinated right before an election. Wild card: former Lt. Governor Monty Sanderson assumes office, but just to get his name on the ballot to be officially elected, he must play in the same rigged game and thereby lose the respect of the woman he loves—unless he can discover the assassin and expose who is really dealing the cards…. The game gets even wilder when Monty and his investigative IBI team uncover the dead governor’s gun deals with African warlords and a massacre that left a beautiful woman devastated and driven to revenge. Mob hits, a deadly drug run, kidnapping, and explosions that sear the truth from the lies that have corrupted the state for years—all combine to determine who will win the final hand of the Assassin’s Game. 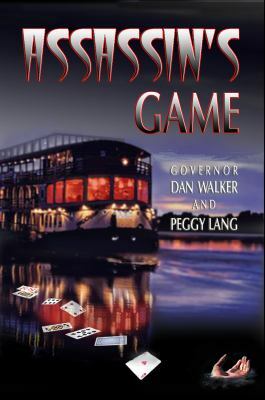 “Corruption, assassination, the Mob, high-stakes political intrigue… Assassin’s Game is a gripping thriller fueled by the experiences of a true insider: the former governor of Illinois.” – Mike Sirota, author of The Burning Ground and Fire Dance. “I love thrillers with real issues at stake, with characters who make tough choices, with action (of course), and, especially, with women who stand for something and risk everything for it. You’ll find it all in Assassin’s Game.” – Judith Leon, Author of Code Name: Dove and The Good Thief.